In the past decade or so, the demands of being an International cricketer has risen a few notches higher. With the game being heavily tilted in the favour of batsmen, a good team is often credited for the firepower present in its bowling ranks. However, captains are always on the look out for bowlers who can give them ten quality overs and also contribute with the bat from lower down the order. In the last few years, many teams have profited hugely because of the vital runs contributed by their lower order batsmen. Let us take a look at five world-class fast bowlerwho have also developed a penchant for batting in recent times. This list does not include bowling all-rounders and only current players have been taken into account. 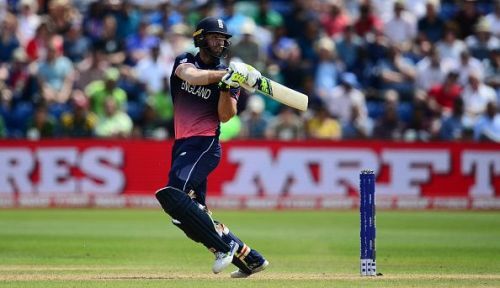 Liam Plunkett's career can be divided in two contrasting halves. When he burst onto the scene as a bustling pace bowler, he was no mug with the bat either. He made both his Test and ODI debuts back in 2005 and his good performances were few and fair in between. Consequently, he was soon dropped from the England team. Since earning a recall through strong performances in the County circuit, Plunkett has performed consistently with the ball over the last few years. He has also developed into a handy lower order batsman. The right-hander possesses a reasonably good technique and can muscle the ball a long way. His batting skills were evident when he smashed a last ball six against Sri Lanka in an ODI at Trent Bridge to help England register a thrilling tie.